Fruit Logistica 2018 in Berlin is history, but the global appetite for perishables persists. 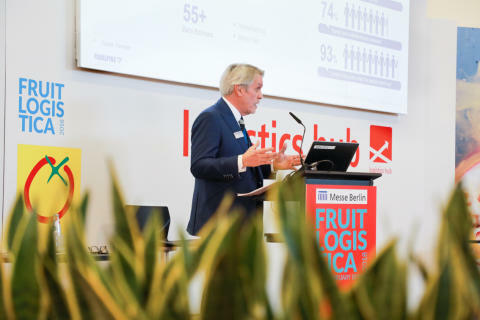 On the first day of the most important exhibition for the international trade of fresh produce – and at that point in front of a still very fresh audience – Panalpina’s Colin Wells elaborated on the global trends for the supply and demand of fruits and vegetables. 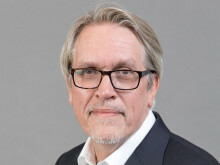 In his presentation, Colin pointed out that the perishables industry is undergoing massive change in terms of trade flows and buying behavior and that producers, buyers and logistics suppliers will have to adapt rather sooner than later to the new reality by working together across the supply chain. “Today, what is grown in the south is typically exported to the north,” said Colin and presented numbers to underline his statement: 80% of worldwide perishables food is imported by developed countries, 34% of South America’s produced meat, flowers and fruits are traded to Europe, and 30% of the Middle East’s and Africa’s produced vegetables, fish and flowers are also traded to Europe. Seabury data from 2016 shows that the USA is currently the world’s biggest exporter (7% market share) and importer (22% market share) of perishables based on air freight volumes. On the import side, China already ranks number two with a market share of 11% (on a par with the Netherlands) and the country’s importance for international perishables trade will only increase. However, a shortage of air freight capacity could become a problem for some producers in Africa. “Recent air freight demand growth has outpaced capacity, putting pressure on low-yield cargo such as perishables,” warned Colin. “Airlines are deploying their aircraft on trade lanes where they can expect the highest yields, and typically that is not out of Africa.” One way to address this issue is to shift transport to ocean freight and new solutions like LCL shipments for certain perishables, something Panalpina is working on. The vast majority of perishables, roughly 90 million tons globally, are already traded by ocean freight. “Still, for some perishables such as fresh cut flowers, air freight will remain the only viable transport solution in the near future,” noted Colin. Beyond the “I-want-it-now-mentality”, consumers will increasingly want to buy perishables directly from the producer and producers will want to sell directly to the country of consumption. Direct marketing and direct shipping between countries will bypass intermediaries, reducing touch points in the supply chain. This development will remove unnecessary costs and potential delays, but at the same time it will make sophisticated end-to-end solutions even more important than today.